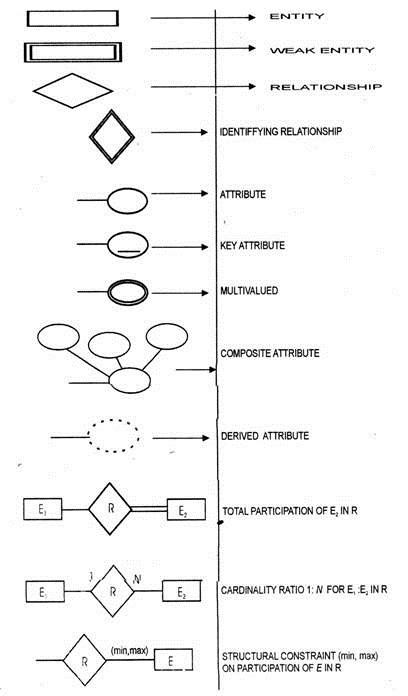 The basic representation of ER model is given below. After the requirement, collection and analysis phase, we create its conceptual schema step by step by using ER model concepts. 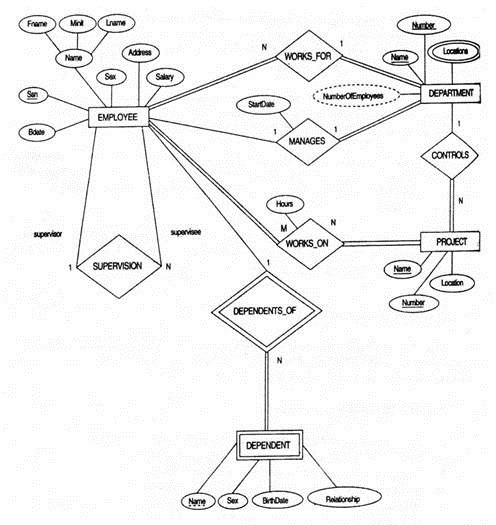 · Several departments and each department have a manager. · Several employees work for a department. · A department may have several locations. · Each department controls several projects. · We store each employee’s name, SSN, address,. An employee is assigned to one department but may work on several departments. We keep track of the number of hours per week that an employee works on each project. · We need to keep track of employee department information for the purpose of insurance etc.